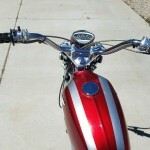 Restored 1969 Honda SL90 Motorcycle. A new camshaft was installed. The valves and springs were replaced. 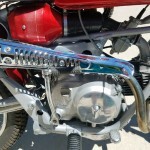 The fuel tank and front fender were painted to match the original colour. All of the fasteners were retained and show the original Honda marking. 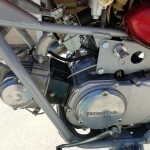 The fork legs, triple clamps, engine side covers and backing plates were polished. A very nice restored Honda SL90 Motorcycle. 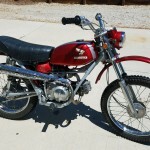 Honda SL90 – 1969 For Sale or Wanted? If you're looking for the perfect Honda SL90 – 1969 for sale then take a look at the hundreds of restored classic motorcycles listed on our extensive Motorcycles For Sale pages. 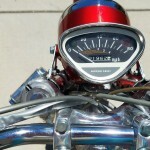 We regularly feature very nice restored Honda SL90 – 1969 bikes for sale. 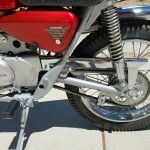 Spares and Parts for your Honda SL90 – 1969? 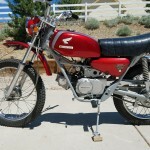 Workshop Manual for your Honda SL90 – 1969?